Los Angeles based producer Mikey V delivers ‘Shake That’ via Sampled Detroit this month, featuring three original tracks. California’s Mikey V has carved out a back catalogue over the past five years with his jacking house sound finding a home on imprints such as Luke Solomon and Derrick Carter’s The Classic Music Company and Claude Von Stroke’s Dirtybird. Here though, Mikey marks a welcome return to Chuck Daniels Sampled Detroit imprint following his ‘FYI’ release on the label back in early 2015. Across the package Mikey delivers his robust house style with opening track ‘Shake That’ employing rugged rhythms, resonant snaking synth leads and an amalgamation of intricately processed vocal chops to create a spin on contemporary house music. ‘Take Me Over’ follows and opts for a more refined rhythmic approach while shining light on a vacillating sub bass hook, fluttering synth stabs and soft pad swells while infectious vocal stylings run throughout. Finally closing the package is ‘Vain’, again revisiting a raw and energetic drum style alongside hypnotic vocal lines and frenetic synth blips, furthermore shaping up the ‘Shake That’ EP as a decent addition to the Sample catalogue. 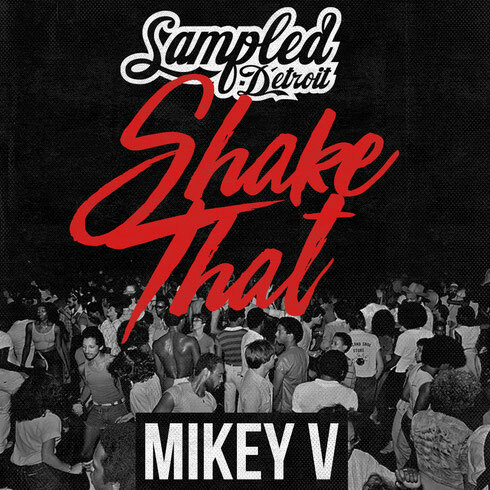 Mikey V’s ‘Shake That’ EP is out on Sampled Detroit on 19 August.